St. Leonard’s Parish Church is a member church of the Church of Scotland which is part of the Presbyterian tradition. 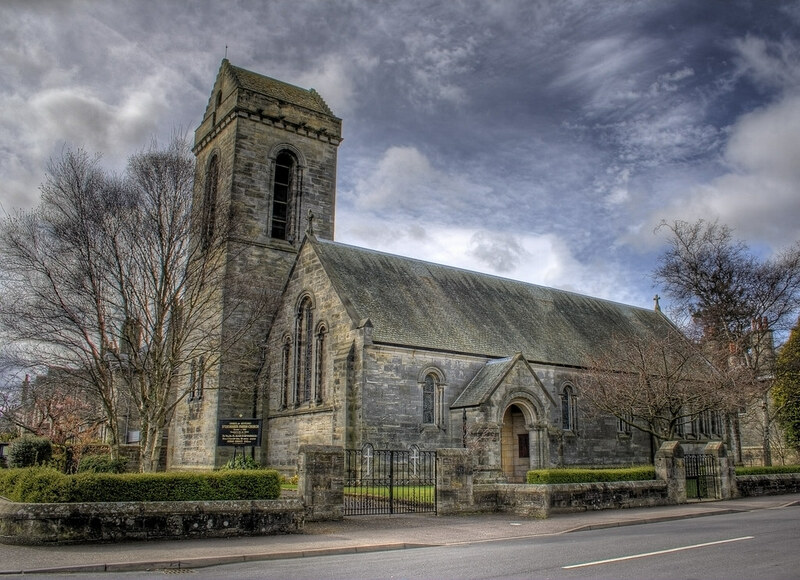 The Church of St Leonard is in the town of St Andrews, home of golf and Scotland’s oldest University, which is located in the ancient Kingdom of Fife on Scotland’s east coast. The present church of St Leonard was built in 1904, but St Leonard’s congregation has a long history going back 800 years to the end of the 12th century. This entry was posted in Church, Scotland, St Andrews and tagged chapel, Church, fife, hdr, Medieval, Scotland, scottish, St Andrews, tower, town. Bookmark the permalink.